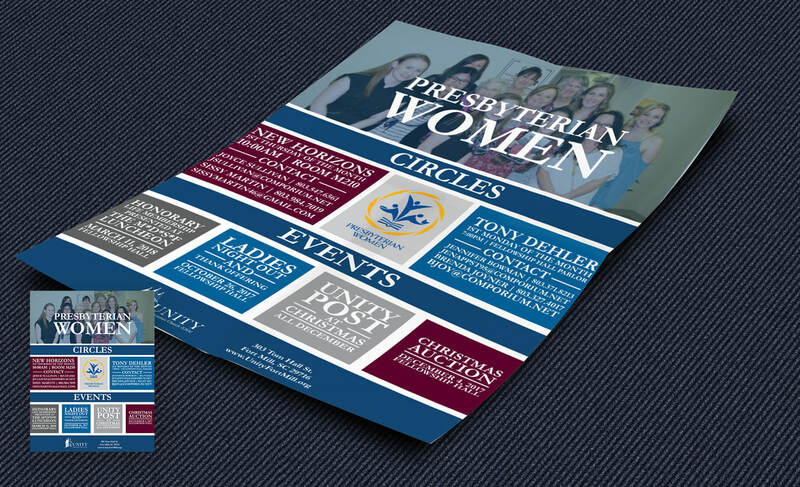 One of my main jobs at Unity Presbyterian was to make sure all of their materials were up to brand standards. Using their already established brand colors, I created a brand identity for all of their printed and web materials. Below is a collection of examples of these brand standards put into effect. The goal was to make sure everything worked cohesivly together. Unity has three main groups that they split into: Children, Youth, and Adults. I decided to make the top of each project the indicator of who the material was geared towards by assigning Unity brand colors. Children get a light blue, youth get a maroon, and adults get the dark blue.